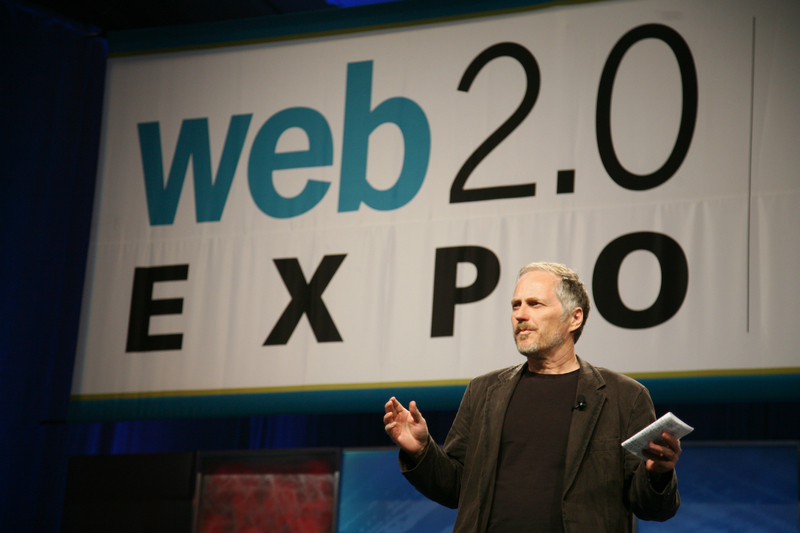 Web 2.0: it wasn’t about freedom. An Open API is simply a limited, revokable license to access and consume a certain subset of data and/or functionality that belongs to a closed silo. Image courtesy Scott Beale. 02 Jun, 2014 We were told that Open APIs from companies like Facebook and Twitter would make the web a better, more open place. They’ve had the opposite effect. Find out why that’s not a surprising outcome given that they were never created for that purpose to begin with. There is consensus among those in the know that the ‘open web’ — in fact, the Internet itself — is dead. While it is all too easy to blame its death on government spy agencies like the NSA and GCHQ, or on venture-capital subsidised and publicly traded transnational corporate surveillors like Google and Facebook, there is a third — very important — culprit that has hitherto escaped widespread scrutiny and blame. Want to blame someone for the death of the open web? Blame O’Reilly. Blame Web 2.0. Blame the swaths of ‘open web’ evangelists at companies like Google, Yahoo, Twitter, and Facebook who — either through naïvety or vested interests — pulled the wool over our eyes by evangelising Open APIs. It was Web 2.0 — with its central axiom that Open APIs would result in an open web — that got us to enthusiastically expend our energies building on closed platforms like Twitter, Facebook, and Google. Because, hey, if they have an Open API, they must be open, right? And we fell for it — hook, line, and sinker. By the time we realised that Open APIs really had nothing to do with freedom, it was already too late. Purveyors of corporate surveillance like Google and Facebook already had the momentum they needed. Their business model of spying on you for money had already become a monopoly. It had become the business model of the Internet. One API call at a time. An Open API is simply a limited, revokable license to access and consume a certain subset of data and/or functionality that belongs to a closed silo. It is a visitor’s pass. The terms of the pass grant you limited access for a specific time. The terms can be altered — and routinely are altered — at the whim of the API owner. This is a painful lesson that many developers learned, for example, while working to add value to the Twitter platform by building Twitter clients. They were unceremoniously dumped after expending their energies to help Twitter build up its closed silo. There is nothing open about Open APIs. Where ‘free’ is the lie told to users, ‘Open API’ is the lie told to developers. ‘Free’ gets users to add value to a corporate surveillor via patronage by creating the momentum they need for a successful exit (either to shareholders via an IPO or to a larger corporate surveillor via a purchase). In the same way, ‘Open APIs’ get developers to add value to a corporate surveillor by extending the number of surveillance nodes that feed into it. Subsequently, these new nodes also help to bring in new users and thus create a multiplier effect benefiting the original goal of making a valuable exit. These surveillance nodes have traditionally been apps. In the Internet of Things, these surveillance nodes take the form of Internet-connected devices. So lets call ‘Open APIs’ and Web 2.0 by what they really are: openwashing. Neither has anything to do with empowering individuals or protecting their freedom. In that aspect, it is simply an evolution of the open source mindset. Unsurprisingly, today, you can see the same folks — the very same people who paint themselves as champions of a free and open Internet — pushing the same line about Open APIs for the Internet of Things. Make no mistake, the Internet of Things is not about things, it is about data. The Internet of Things is the Internet of Things That Spy on You. The Internet of Things is not a revolutionary concept. It is the evolving manifestation of the business model of corporate surveillance. It is the effort to tap the veins now that the arteries of our data are being successfully drained; it is effort to climb into the branches, now that the low-hanging fruit has been picked. The ‘things’ that we are talking about in the Internet of Things are new data collections nodes; corporate surveillance endpoints that we allow into our homes and onto our persons. Stick them up their closed silos, where the sun don’t shine.